Home » How Can You Make Better Decisions and Encourage Your Team To Do The Same? ARE YOU HAVING STAFF MEETINGS OR ARE YOU INNOVATING? 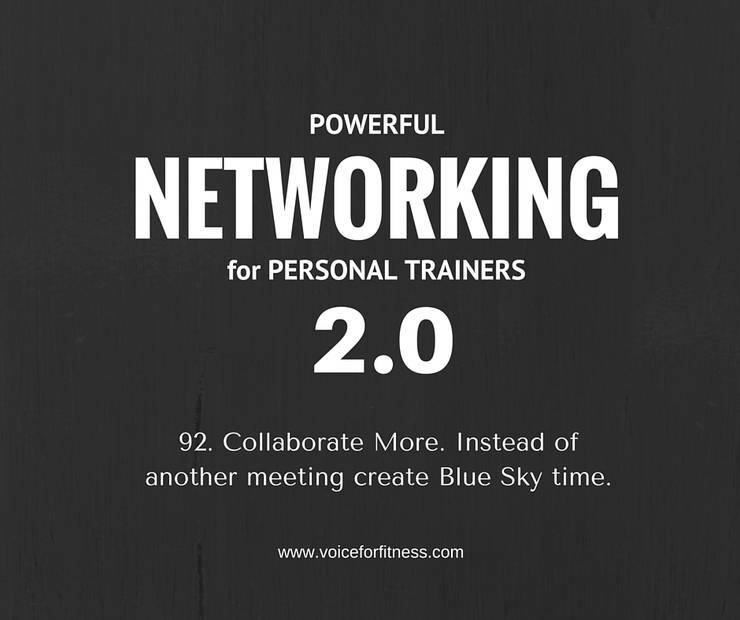 I think over six and a half years of time some of the most wasted time I spend as a director of personal training was spent in meetings. Every Monday morning, and then again every Monday afternoon I had two regular management and then staff meetings. Even though I conducted the second one I didn’t always use that time for the highest return of every attendees time. The best thing that meeting had going for it was the time. It, at least, wasn’t during the most creative and productive part of the day for 90% of people. The other management meeting was. That meant that bright, talented, educated people were starting their week off reporting what happened last week and getting announcements much like Junior High over the intercom. Did you listen then? Thought not. The waste of that hour of time that could have been used to create and collaborate new programs, new ad campaigns, a customer experience. was wasted. Some of that information needed to happen to communicate with everyone in the same room but much of it did not. The shame is that individually people reported. No collaboration and contributions toward a better customer experience occurred the majority of the time. So everyone’s day…actually week… started off with a sluggish beginning. It wasn’t about excitement or new ideas or bettering the products and services… it was about complaining, or addressing low numbers, and housekeeping things without integrating the entire management team. Deciding to look at your need for meetings is a big step if you’re a regular meeting kind of person. Does the meeting have purpose? Is there value in this hour spent this way for so many or should they be using this time (morning = creative time and idea generation or tackling the most important priorities of the day: hard phone calls, follow ups, booking appointments) for a better outcome? Think about the value of putting creative minds together. If you hired talented people shouldn’t you let them put their minds to work? If you are creative and the brains and idea guy/girl…shouldn’t you be spending your best quality time doing that instead of exchanging $ for a session? The way to better futures is not just to focus on the immediate but it’s to increase the time the YOU gets into what you do.